In addition to displaying a products rating, this mod allows users to hover over the current rating, and quickly assign a rating of their own. Using AJAX technology, this mod provides site visitors with an interactive product rating display. 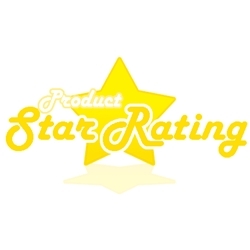 To rate a product, a user would simply hover over the current product rating, and click the appropriate star. The rating is submitted instantly over AJAX, and the user is notified. The process is non-obstructive and completes without page reload. - Does NOT require cart source code.